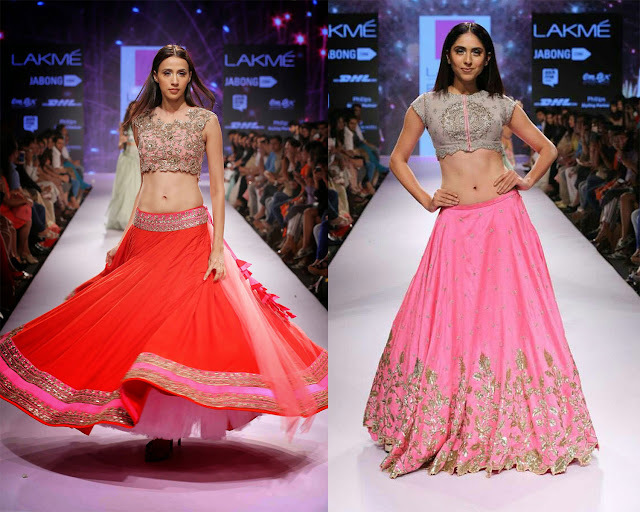 When it comes to Indian bridal couture, lehenga comes at the top for its gorgeous and ravishing look. With the wedding season coming up, Tashiara curated a list of top bridal lehengas that will definitely help you to choose the best for your D-day. If you are looking for the latest bridal lehenga design ideas, you have reached absolutely at the right place. So, get ready to take the inspiration from our curated list and pick the style that suits you best. 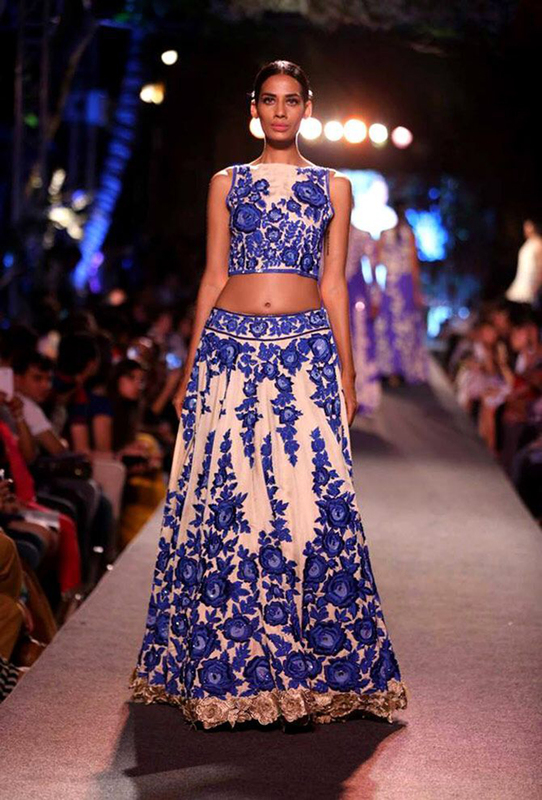 Crop Top Lehenga By Manish Malhotra: It is one of the most popular bridal lehenga designs that complements the beauty and charm of the bride on her D-day and makes her stand out. This is something very innovative for 21st century brides. The best part of this latest trending attire is that you have unlimited choices to play with the top like you can wear sleeveless top, kaftan style, elbow sleeves top and the collared one. Revolutionized Traditional Lehenga By Abu Jani Sandeep Khosla: It is ideal for those brides who wants a perfect combination of contemporary as well as traditional lehenga. This exquisite lehenga is heavily embellished with jewels (chikankari, zardozi and mirror-work) that add a dramatic flair and make you feel like the glamour queen. Cocktail Gown Lehenga By Ridhi Mehra: The bride can impart a fascinating charm and timeless elegance by wearing the cocktail gown lehenga on her D-day. 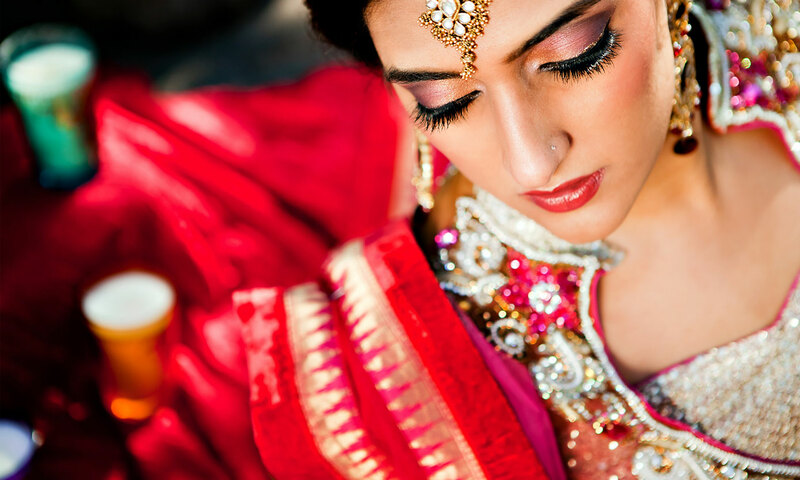 It combines the western taste of the formal cocktail dress with the Indian traditional appeal of a bridal lehenga, thus becomes one of the most popular choices of Indian brides. These lehengas are available in emerald green, deep blue, mauve, maroon and wine colors. 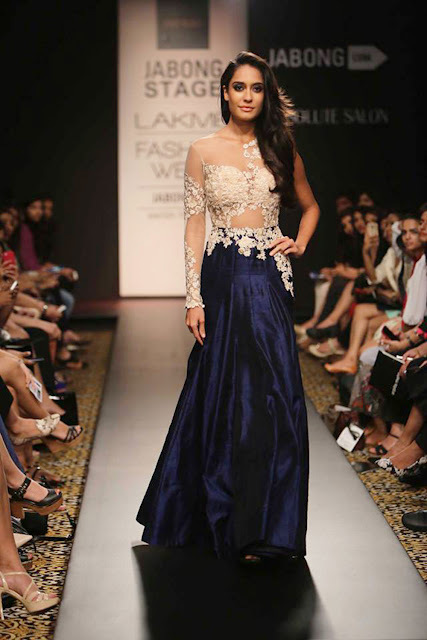 Anarkali Lehenga By Manish Malhotra: It is one of the favorite lehenga designs of all fashion designers. It contains flares right from the top which gives an elegant and graceful look to the bride. 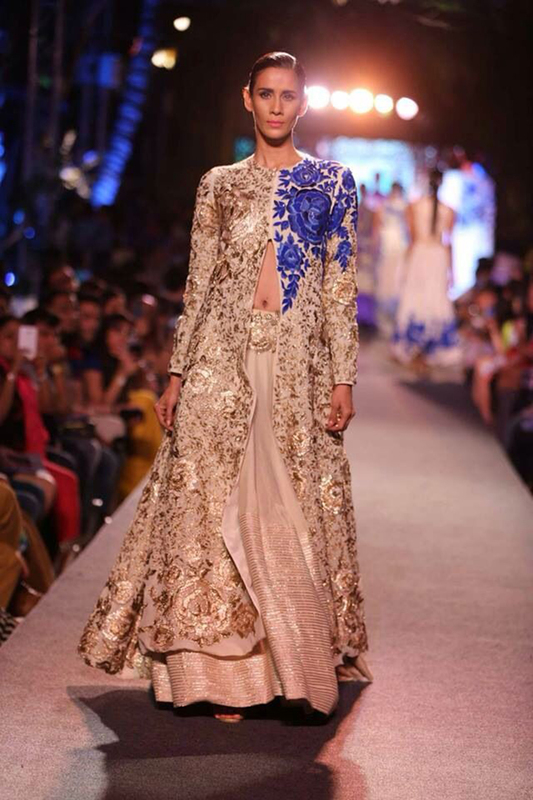 Flared Lehenga By Shehla Khan: The flared bridal lehenga gives a charismatic and royal look to the bride. Generally, this bridal lehenga is embellished with zari work. It looks beautiful in bright pink, maroon, fuchsia and blue colors. 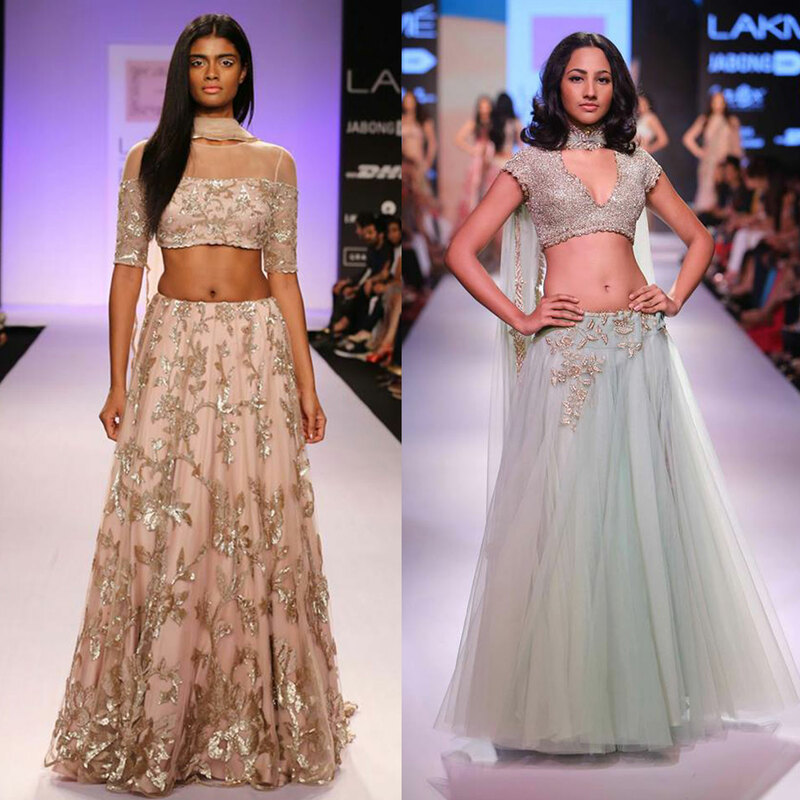 Sheer Fabric Lehenga By Anushree Reddy: This is another great option for the daring and playful bride. It is made from sheer fabrics such as net, chiffon and laces that permits a certain level of transparency and gives an ethereal look to the bride. 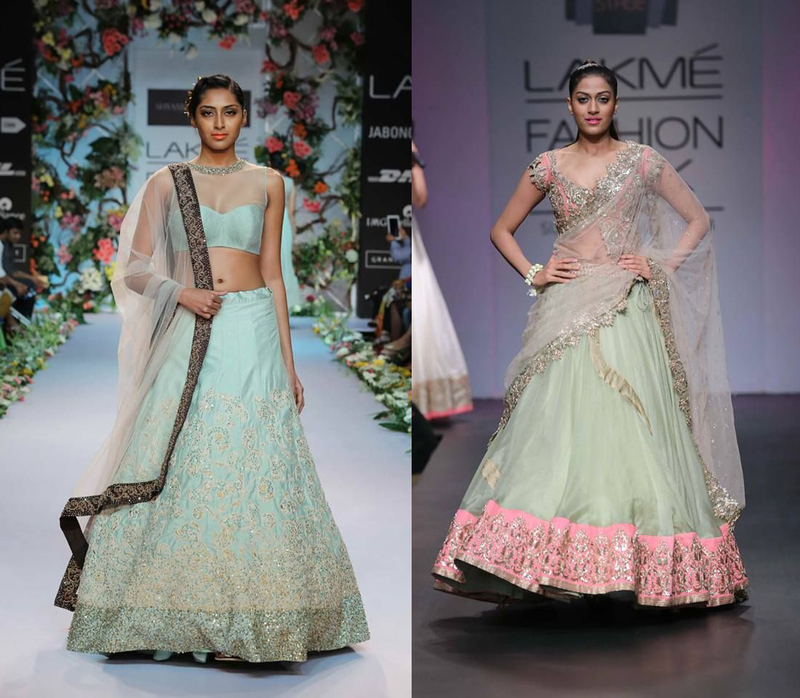 Pastel Colored Lehenga By Anushree Reddy: If you are a girly bride, you will certainly go for pastel colored lehengas over any other trend. They come in a wide assortment of soft and romantic colors right from baby pink and sweet peach to ivory, cream and fresh rose radiance. Before you begin your shopping for bridal lehenga, learn some secrets that no one will tell you ever. If you also have some top bridal lehenga design ideas, please let us know in the comment box. Your comments will be appreciated.